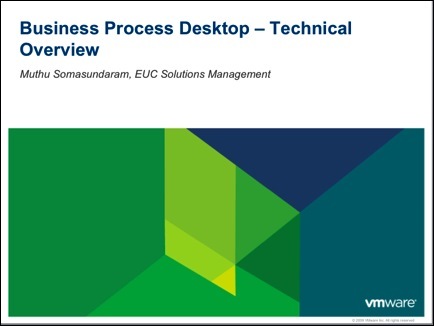 A fully validated and tested architecture, the new VMware View Business Process Desktop provides IT organizations with an end-to-end solution to support business process outsourcing by centralizing desktop management, enhancing data security, and maximizing employee uptime. 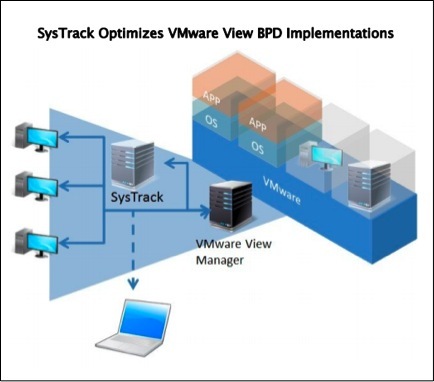 It integrates technology from VMware (including VMware View and VMware vShield products) and our partner eco-system to allow organizations to better manage IT infrastructure and protect data across locations. In this 10 part bootcamp series, participants will learn how to deploy view desktops, integrate with the existing infrastructure – security, network, backup & restore to support the outsourced or offshored end users. Sessions will cover topics ranging from design considerations, best practices for networking and unified communication, security and storage considerations. This bootcamp begins September 24th and everyday, a new video will be released in the morning. Be sure to also check out the related blog postings along the way. We are also providing a free e-book of all the presentations included in this bootcamp series--so be sure to register today. 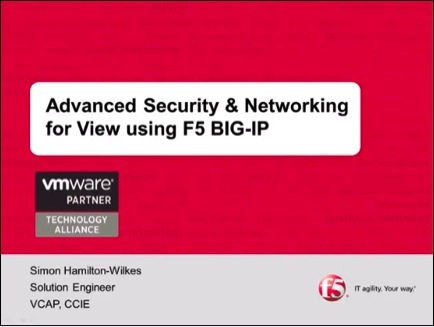 Watch this session to understand the PCoIP protocol that powers View desktops. 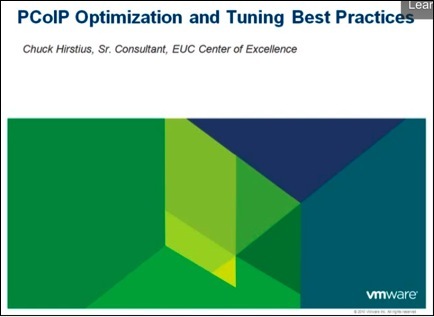 You will learn how to tune the PCoIP protocol for different workloads to optimize performance. Correct use of authentication and traffic management for multi co-location business process desktop deployments can make a big difference in the deployment's success. This technical presentation and demo will review F5's solutions for enhancing View Business process. Topics illustrated and discussed will include unified access, username-based persistence, single namespace in multi-site deployments, global and local traffic management and the wizard-based configuration of BIG-IP for View. 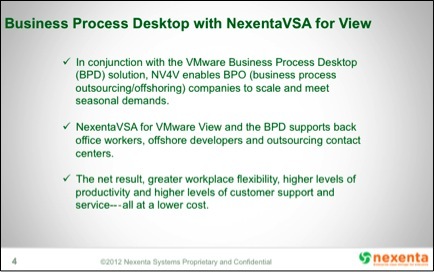 Organizations are taking leapfrog to virtual desktop with integrated softphone from the traditional desktop and phone as separate elements. 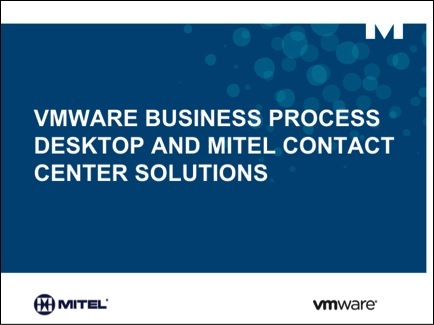 View Business process desktop with Mitel UCA provides a complete integrated solution for the contact centers to provide a modern desktop. In this session, Mitel will provide a technical deep-dive on product features and the best practices for a successful deployment. In this session, we will take a technical deep dive to understand EMC Avamar's deduplication backup software and system's validation and demo with Business process desktop. 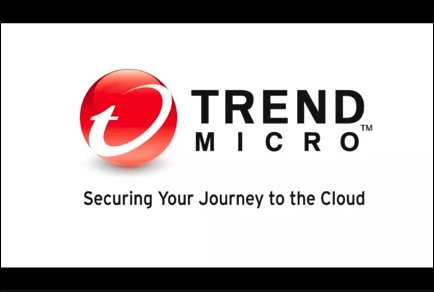 In this session, learn about how Trend Micro’s Deep Security integrates VMware vSphere APIs to protect VMware Business Process Desktop Virtual Desktops against viruses, spyware Trojans and other malware with zero in-guest footprint. The Deep Security Virtual Appliance also optimizes security operations to avoid antivirus storms commonly seen in full system scans and pattern updates. In this session, Nexenta will present a deep dive on how to optimize the storage architecture with their VSA for View solution. Session will cover the best practices for optimized performance and sizing for large deployments. 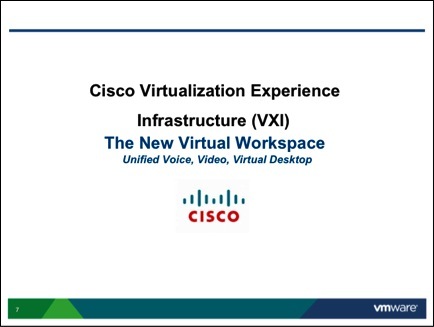 In this session, Cisco will present the end-to-end architecture for the business process desktop built on the Cisco UCS platform, Borderless network and VXI collaboration technologies. This comprehensive architecture helps customers to deploy a high performance desktop solution with streamlined management to meet the scale of outsourced colocations. 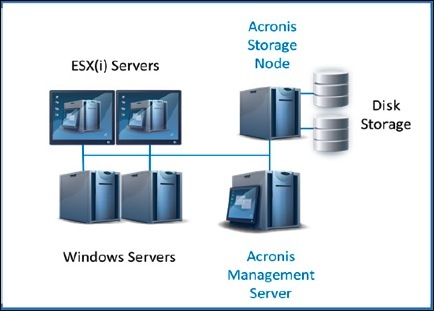 In this session, Acronis will present their advanced backup & restore 11.5 solution for Business process desktop and share the best practices for a successful deployment. In this bootcamp session, Lakeside will present the architecture and use cases for Business process desktop for efficient management and monitoring of infrastructure. Session will cover the configuration details, best practices and a demo. Get started with VMware Horizon 6 by joining the Horizon Bootcamp!